① Mix the rice powder and sugar in a heat-resistant bowl. Add the boiling water and red food coloring and mix well. Cover with plastic wrap and microwave for 3 minutes. Remove the bowl from the microwave, take off the wrap, mix, and then replace the wrap and set aside for 15 minutes. Remove the wrap and separate the dough into 5 even quantities. 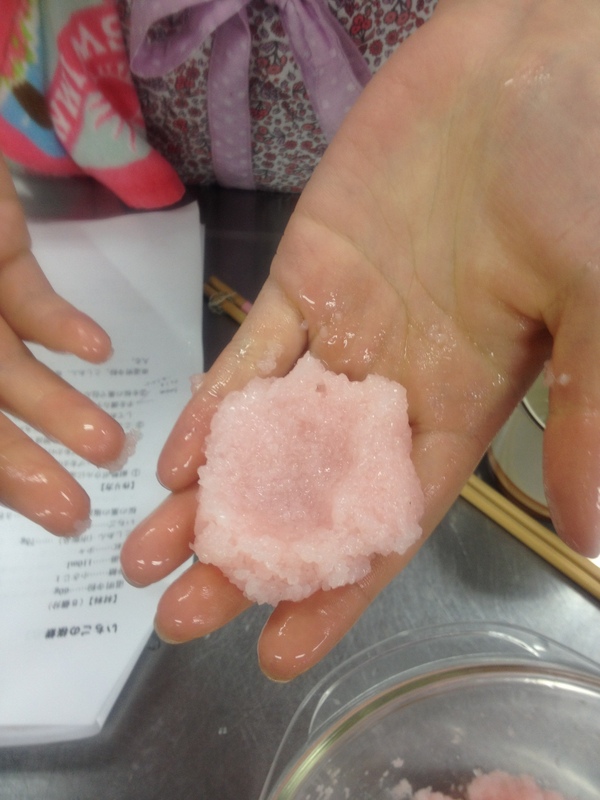 ② Soak the sakura leaves in water for 10 minutes to remove salt. ③ Form the red bean paste into 5 quantities of 15g each. Remove the strawberry stems and leaves. Enclose the strawberries in red bean paste, leaving only the tops exposed. Now wrap each in the rice dough. If the dough is sticky and hard to work with, try wetting your hands. 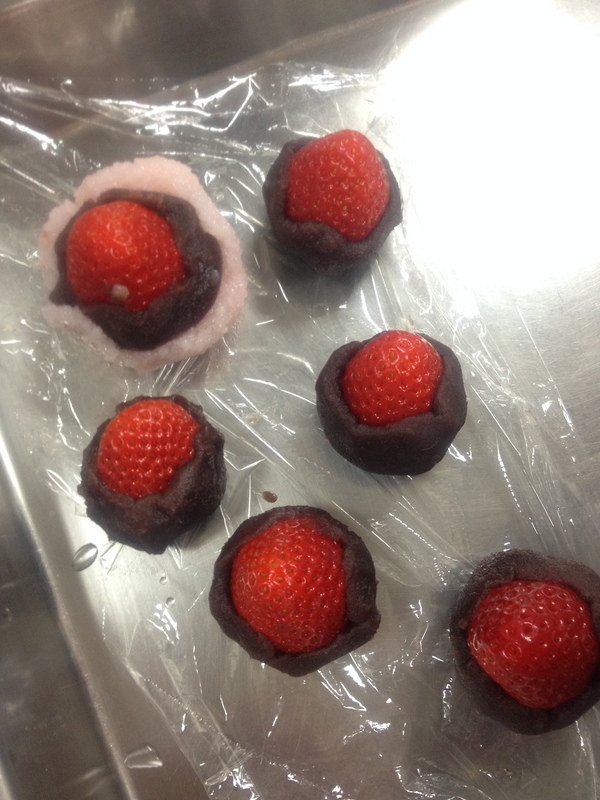 ④ Finish by wrapping a sakura leaf around each mochi. ※ Rice powder, red bean paste, and salted sakura leaves can be obtained from Tomizawa Shōten and other pastry supply shops.